Over 80% cost savings compared to big box stores. Use with standard electric or battery drillers. Do NOT run dry. These Diamond Coated Tools will work best if you use water to keep the tools cool. Shank sizes vary, maximum shank is 3/8″ – suitable for all common electric drillers. 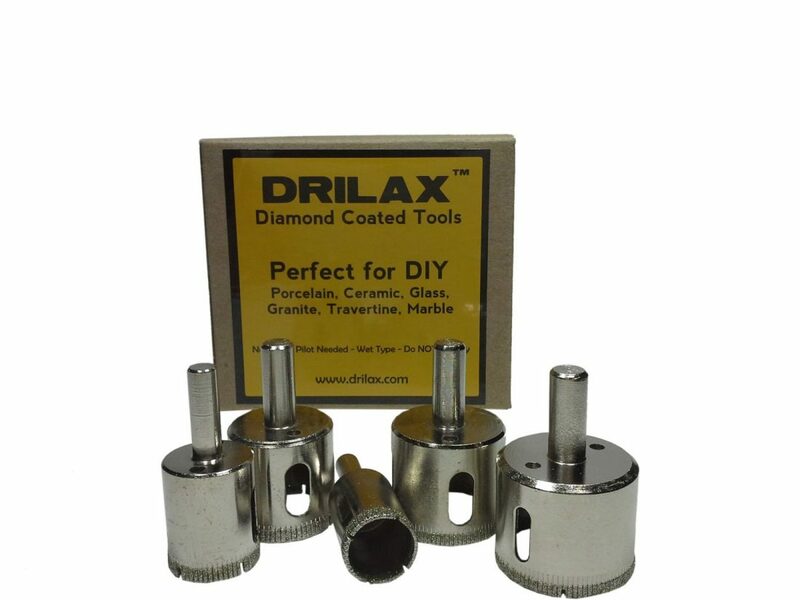 Drilax tools can drill 1 1/4″ in depth. Shank sizes vary but the largest shank is 3/8″ – common electric or rechargable drillers can be used. These are for port holes. will attach the jig to vertical pane ballistic glass and use a portable drill to cut the holes with a diamond – water cooled -drill bit hole. your product says it can cut granite and marble , will it work on Glass clad polycaboante UL752 FP8? do you have a 3″dia. x 2 1/8 deep capability with your product?ie 3″ hole saw diamond coated hole saw bit for 3/4″ drive portable drill?